Creating a gender-balanced workforce is crucial for APAC region's further economic growth. Let's take a look at the barriers to overcome and ways to boost female employment in these countries. Today the Asia Pacific area is a widely dispersed and diverse region which has slowly taken the center stage of global growth. From highly populated countries like China and India to developed eastern nations of Japan and South Korea, and rapidly emerging economies of the Middle East and Southeast Asia, the region is surely one of the most dynamic economic regions in the world. Fuelled by the rapid adoption of the latest technology and increasing investments, APAC promises great growth. The real challenge would be to ensure it’s a growth that carries all along and is able to provide employment opportunities for all. When it comes to creating jobs for all and promoting financial inclusion across the gender gap, it’s imperative to note that APAC—like many other regions in the world—stands to greatly benefit from increasing women employment. In many parts, women play a vital—and often ignored— part in sustaining livelihood and contributing to overall growth. Yet gaps remain large in many countries in the region on gender equality both in work and in society. From an economic perspective, trying to grow without enabling the full potential of women is like fighting with one hand tied behind one’s back. A recent Mckinsey study shows that all countries in the Asia Pacific would benefit from advancing women’s equality. The report noted that “in a best-in-region scenario in which each country matches the rate of progress of the fastest-improving country in its region, the largest absolute GDP opportunity is in China, at $2.6 Tn, a 13 percent increase over business-as-usual GDP. The largest relative GDP opportunity is in India, which could achieve an 18 percent increase over business-as-usual GDP, or $770 Bn.” These numbers point to the part of the economic journey that the region still has to make. Recent ILO report highlights the extent of this journey. The report explains that the labor force participation rates for females within APAC are 32 percentage points lower than for males, standing at 47 percent. The gaps are highest, at more than 50 percentage points, in the Arab States, and in South Asia, while eastern and southeastern Asian countries still fair better in comparison. This means that women today are both unlikely to become a part of the formal labor market and when they do so, are likely to find it difficult to access the right employment opportunity. The report, World Employment and Social Outlook (WESO): Trends for Women 2017, shows gender gaps are one of the most pressing challenges facing the world of work. Women are significantly less likely than men to participate in the labor market, the report notes. Those who do look for work are less likely than men to find it. The report highlights that in addition to such barriers, women in the region work also in jobs that tend to be both of lower quality and lower pay than their male counterparts. This inequality of opportunity contributes to placing women at a considerable disadvantage in the labor market. The participation of women within labor markets has declined in Asia and the Pacific over the last few decades to a point where today around only half of all women are economically active. Factors like unpaid maternity leave, stifling careers and widespread but often ignored biases still remain a big part of APAC markets. Even within senior leadership positions, most remain accessible to men. The ILO report highlights that for every ten men in work in the Asia-Pacific region there are only six women who are a part of the active labor force. Even within such scope of employment, a majority of women still remain employed in “precarious, informal employment, characterised by low wages and hazardous working conditions.” In addition, when it came to providing maternity benefits, Asia Pacific countries often lack a proper mechanism of distributing benefits and incentives that keep women within the workforce. While many countries in the region provide between 12 and 13 weeks of maternity leave, most provide fewer than 12, and only a few countries provide more than 14. Even with such statues in place, often the delivery mechanism and faulty funding mechanisms like an additional cost to employers deter many from employing women. 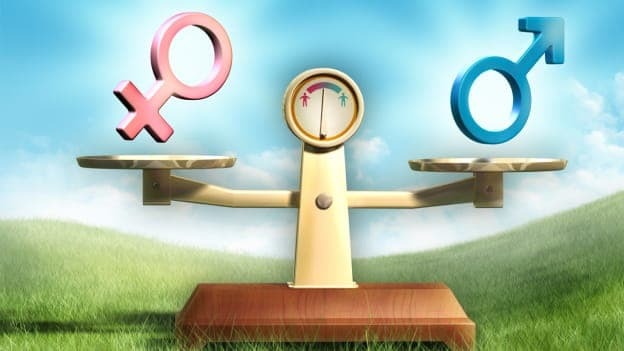 To understand the relevance of how creating a gender-balanced workforce within APAC can benefit economies across the region, one has to take into account the missed opportunity costs countries incur. Knowing how much the region stands to gain from creating investment channels that fund women’s education and skilling in addition to tackling societal barriers can help in boostingwomen employment. In order to rectify the current imbalance, it is imperative to have holistic policies that look to increase women’s labor-force participation rate, increase the number of paid hours women work especially increasing their access to formal forms of employment, and raise women’s productivity levels so they can find employment in more diverse sectors. A Mckinsey report on such missed gains states that of the total projected $4.5 trillion GDP opportunity in the region, 58 percent would come from raising the female-to-male labor-force participation ratio, in line with the global average contribution. A further 17 percent of the GDP opportunity would come from increasing the number of paid hours of women work, and the remaining 25 percent from more women working in higher-productivity sectors. But to bring in such a change could very easily turn out to be a herculean task. One way of bringing about this change, in the long run, is to bring policies and labor market regulations which aim to provide targeted solutions to the challenges mentioned earlier. The ILO report notes that labor, social security laws, and social protection policies need to transform. Other areas of imperative change include legislation and policy development that have significant effects on women’s economic empowerment and gender equality. In particular, the right to equal pay for work of equal value and maternity protection are key drivers of gender equality in the world of work. Keeping these factors in mind while bringing about the required change in labor policies would prove crucial in the region’s effort to boost female employment and creating a gender-balanced workforce.